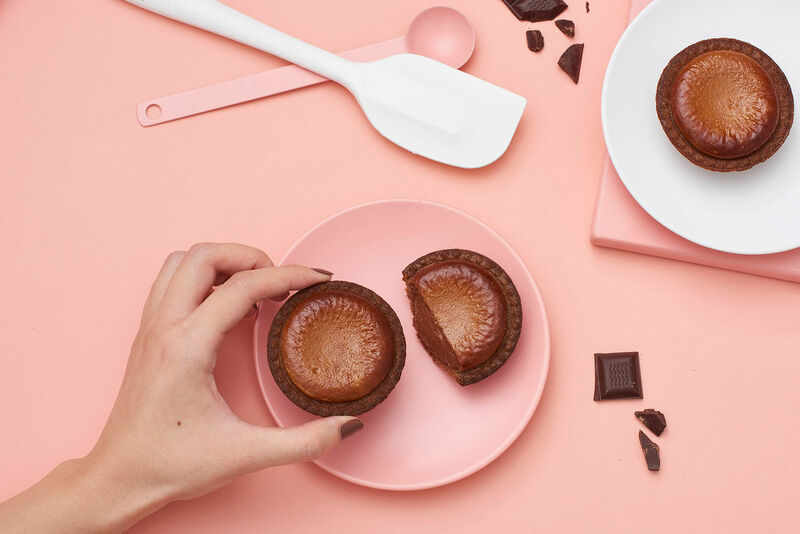 BAKE CHEESE TART has teamed up with Dandelion Chocolate―the bean-to-bar chocolate makers from San Francisco―to release the new Baked Chocolate Cheese Tart. It will be available from January 11 to February 14 just in time for the Valentine’s season. 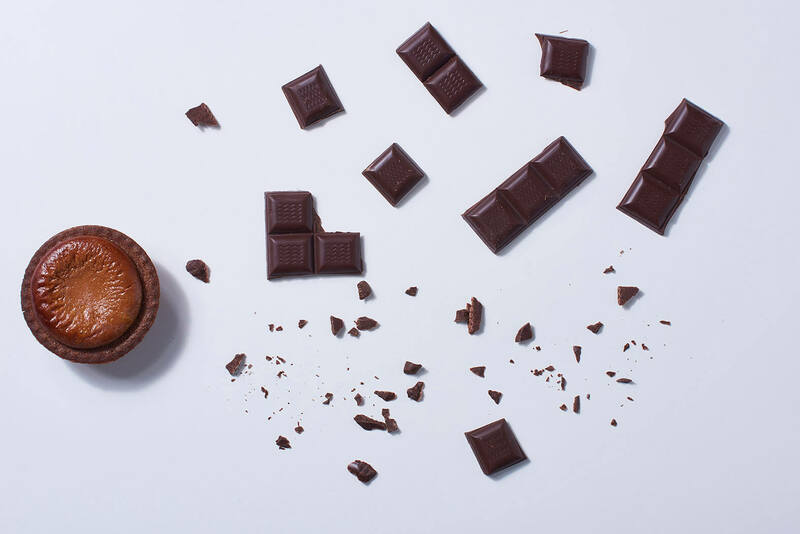 The tart is made with cocoa beans farmed in Guatemala and carefully selected by Dandelion Chocolate. The cocoa beans are heated more thoroughly to the core than usual and carefully roasted to leave a strong taste on the palate like that of brandy. 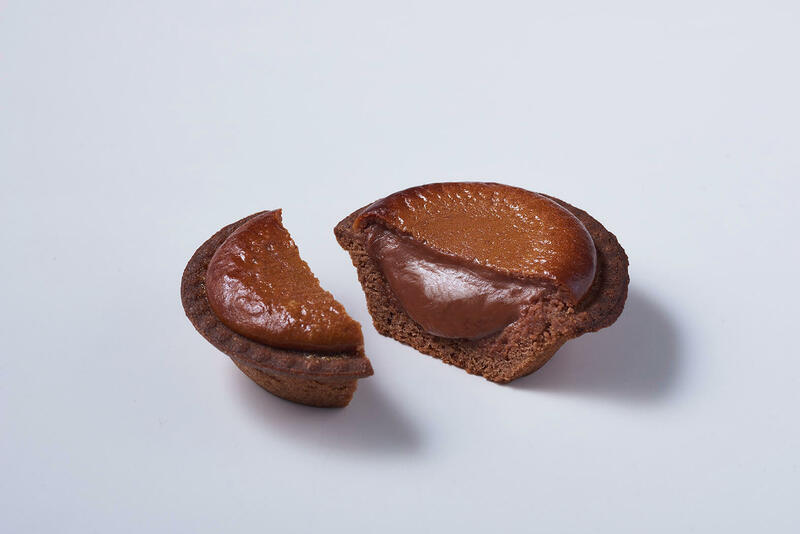 In one bite your taste buds are treated to an amalgamation of cheese mousse and rich caramel with an aftertaste of cocoa beans that have a fruity sourness to them. The lingering aftertaste is nuanced like red wine. The cream cheese used in the cheese mousse is an original blend that mainly uses cream cheese made in Hokkaido which offers unique flavour and texture. It is mixed with Dandelion Chocolate’s ganache. The cookie batter is laced with cookie powder for added crunch. The tart is fried once like this and again with the mousse. This double fry technique gives the tart its distinct deliciousness. Dandelion Chocolate taste-tested this tart countless times before putting on the market. The climate during the cocoa bean farming and gathering changed the taste and fragrance of the beans. Only the best beans are used in the baking process. 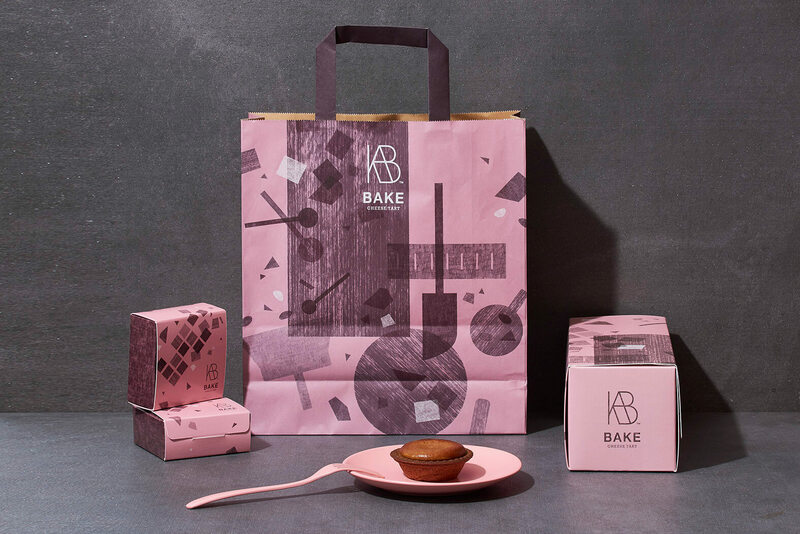 BAKE CHEESE TART are holding a Valentine’s promotion with the concept “From hands to hands” in line with the release of the Baked Chocolate Cheese Tart. 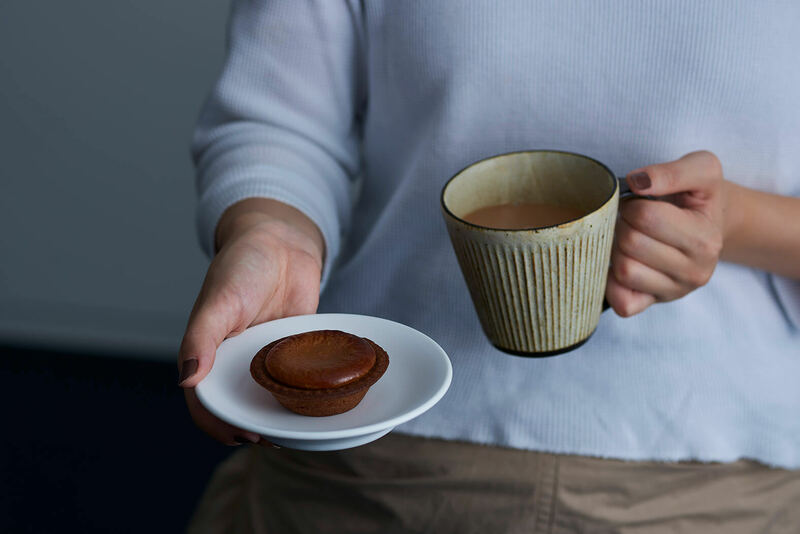 Limited edition packaging will be available with designs inspired by the manual labour of those people around the world that made this tart possible. Small gift boxes will also be available. *Limited quantity available. Sales will discontinue once all have been sold.